Andalas Energy and Power Plc (AIM: ADL) announces the resignation of Dan Jorgensen as Finance Director of the Company with immediate effect. Dan is leaving to pursue other private commercial opportunities. He will assist the Company by providing on-going support as it transitions to a new arrangement, as detailed below. FIM Capital Limited, the Company’s administrator, will take up the financial management functions which Dan had been responsible for whilst Graham Smith, a non-executive director of Andalas and the CEO of FIM Capital Limited, will assume responsibility for finance on the Board. The Extraordinary General Meeting (“EGM”) for Andalas Energy and Power plc (AIM:ADL) was held today at 10.00am. All resolutions were passed. Following the passing of the resolutions at the EGM, the Conditional Placing, as announced on 27 February 2019, was approved. Accordingly, the Company has issued the conditional placing shares totalling 48,888,889 Ordinary Shares, which will rank pari passu in all respects with all existing ordinary shares in the Company, and has applied for Admission to trading on AIM of such shares with effect from 19 March 2019 (“Admission”). Following Admission, the Company will have an issued share capital of 603,970,301 Ordinary Shares. Simon Gorringe, CEO of Andalas Energy & Power PLC said: “With the EGM resolutions passed, we can focus on the Colter South discovery and new opportunities for the Company. We believe that the market has undervalued the positive drill results at the Colter South discovery and the impact of the recently completed placing on the Company’s cash position. The conditional element of that placing can now complete. It will provide an additional cash injection at a time when the Company has no outstanding asset funding commitments. “Our immediate focus is to continue to support the joint ventures’ evaluation of the Colter South discovery, which includes the assessment of the data from both the initial well and the side track as well as the data from the previous wells and seismic across the licence area over the coming weeks. In addition we are currently reviewing a number of opportunities, which could create significant value for shareholders. We look forward to updating the market in the near future as and when these opportunities develop further. 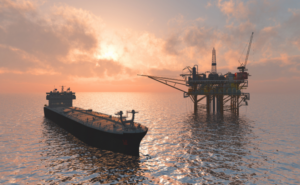 Andalas Energy and Power Plc, the AIM listed oil and gas company (AIM: ADL), has been advised by Eagle Gas Limited (“Eagle”) that Holywell Resources Limited (“Holywell”), the operator of Southern North Sea Licence P2112 (“Licence”), and Atlantic Petroleum UK Ltd (“Atlantic”) have elected to relinquish the Licence. Simon Gorringe, CEO of Andalas Energy and Power PLC said: “We are disappointed that the Licence will be relinquished. However, whilst Holywell has undertaken discussion with a number of interested parties regarding participation in drilling the proposed well, it has been unable to secure a partner within the time permitted under the Licence and therefore it has no other practical course of action. We remain interested in the Badger prospect and we will consider options to apply for a new licence. In parallel Eagle will continue to pursue various other opportunities it is developing. Andalas holds 25% of the equity of Eagle which wholly owns Holywell. Holywell owns 66.67% interest in the Licence and the remainder is held by Atlantic. Andalas Energy and Power Plc (AIM: ADL) has been informed by the Operator (Corallian Energy Limited) that the sidetrack well 98/11a-6Z has encountered the top of the Sherwood Sandstone reservoir below the level of the 98/11-3 oil water contact and did not penetrate the predicted fault bounding the target Colter Prospect. The well will now be plugged and abandoned and the rig released. Andalas has an 8% interest in Licence P1918, including the Colter Area Prospects. As previously reported on 25 February 2019, the Colter well (98/11a-6) was drilled as a vertical well with the Ensco-72 jack-up rig and reached a Total Depth of 1870m MD in the Sherwood Sandstone. The well was drilled to appraise the 98/11-3 well, drilled in 1986 by British Gas, within the Colter Prospect. The 98/11a-6 well unexpectedly remained on the southern side of the Colter Prospect bounding fault but encountered oil and gas shows over a 9.4m interval at the top of the Sherwood Sandstone reservoir. A petrophysical evaluation of the LWD data has calculated a net pay of 3m. Similar indications of oil and gas were encountered in the 98/11-1 well, drilled in 1983 by British Gas, within the Colter South fault terrace. Provisional analysis of the new data indicates that the two wells may share a common oil-water-contact having both intersected the down-dip margin of the Colter South Prospect. The Operator (Corallian Energy Limited) gave its most recent assessment of the Colter South Prospect prior to drilling the 98/11a-6 well at an estimated mean recoverable volume of 15 mmbbls. Further work will be required to refine this assessment with the new well data. A decision was made by the Joint Venture to drill a side-track (98/11a-6Z) to the north to evaluate the Colter Prospect. The well has now been drilled to a Total Depth of 1910m MD and encountered the Sherwood Sandstone below the oil-water-contact of the 98/11-3 well. Initial evaluation of the data from both wells indicates that the Colter Prospect is smaller than pre-drill estimates. The Colter South discovery remains an opportunity to evaluate further as it is now areally more extensive than indicated by the pre-drilling mapping. In addition, the side-track encountered oil and gas shows in the Jurassic Cornbrash-Lower Oxfordian interval, the producing reservoirs in the Kimmeridge oilfield, and this provides an interesting potential target on trend to the west within the onshore licences held by the Joint Venture. The data from these well results and existing data will be incorporated to determine the best forward plan. The Joint Venture partners would like to thank the well operator Fraser Well Management, rig operator Ensco and all the many contractors who assisted with the drilling operations which have been completed safely in an environmentally sensitive area. Simon Gorringe, CEO of Andalas Energy and Power PLC said: “The Colter appraisal programme has delivered a larger than expected Colter South prospect and significantly increased our understanding of the broader Colter prospect. The results of the sidetrack does, however, indicate that overall the Colter prospect is smaller than initially expected, but the results from the drilling of the sidetrack did deliver encouragement for our adjacent onshore prospects from the good shows encountered in the Middle Jurassic. Andalas Energy and Power plc (AIM:ADL) announces that it has conditionally raised gross proceeds of £1,000,000 via a placing (‘Placing’) of 222,222,222 ordinary shares of nil par value (“Ordinary Shares”) at a price of 0.45pence (the “Placing Price”) per Ordinary Share (“Placing Shares”), compared to the mid-market price of 0.575 pence at the close of business on 26th February 2019. The Placing is split between a firm placing to raise £780,000 through the issue of 173,333,333 Ordinary Shares at the Placing Price (the “Unconditional Placing”); admission of the Unconditional Placing Shares is expected to occur on or around 5 March 2019; and a conditional placing to raise £220,000 through the issue of 48,888,889 Ordinary Shares at the Placing Price (the “Conditional Placing”); the Conditional Placing is conditional on the approval of Andalas Shareholders at an EGM to be convened shortly and further detailed below. The net proceeds of the Placing will be used to fully fund Andalas’ participation in the forthcoming Colter side-track, as announced on 25 February 2019, working capital and to provide additional capital to continue the Company’s business development efforts as it looks to broaden its portfolio of upstream opportunities. The Placing is conditional on the Placing Shares, which will rank pari passu with the existing Ordinary Shares, being admitted to trading on AIM. The Placing comprises a placing of 173,333,333 shares (£780,000) placed pursuant to existing authorities granted to the Directors (“Unconditional Placing Shares”) and a placing of 48,888,889 shares (£220,000) (“Conditional Placing Shares”). The placing of the Conditional Placing Shares is also conditional on the Company passing at a general meeting such resolutions as the directors consider necessary to authorise and otherwise permit the directors and the Company to issue the Conditional Placing Shares. The resolutions will be proposed at an extraordinary general meeting of the Company to be held at 10.00am on 15th March 2019. A copy of the notice of EGM is expected to be sent to Shareholders tomorrow and made available for inspection at the Company’s registered office at IOMA House, Hope Street, Douglas, Isle of Man, IM1 1AP and on the Company’s website (www.andalasenergy.co.uk). Shareholders should read the notice of EGM. Application will be made to the London Stock Exchange for the Placing Shares to be admitted to trading on AIM. It is expected that dealings in the Unconditional Placing Shares will commence on or about 5th March 2019 (“First Admission”) and that dealings in the Conditional Placing Shares will commence on or around 19th March 2019 (“Second Admission”) subject to the passing of the necessary resolutions at the EGM. Warrants over 16,666,667 ordinary shares will be issued with a three year life and an exercise price of 0.45p per share will be issued in connection with the placing. The issue of all warrants are conditional on the approval of increased authorities to be voted on by shareholders at the forthcoming Extraordinary General Meeting. As announced on 25 July 2018, the terms of our subscription agreement with Eagle Gas Limited required that a further £100,000 of consideration shares would be issued when the licence was extended beyond 31 December 2018. Accordingly 15,998,439 nil par value shares have been issued. The number of shares was calculated by reference to the £100,000 contingent consideration and to the share price calculated as 90% of the volume weighted average price over the 3 trading days prior to 1 January 2019, being 0.625pence per share. Following the admission of the consideration and unconditional placing shares Eagle Gas Limited is the holder of 21,880,792 nil par value shares (3.94%) of the Company. Following the admission of the unconditional placing shares and the consideration shares but before the Second Admission, the Company’s issued share capital will consist of 555,081,412 ordinary shares of nil par value (“Ordinary Shares”), with each Ordinary Share carrying the right to one vote. The Company does not hold any Ordinary Shares in treasury. This figure of 555,081,412 Ordinary Shares may therefore be used by shareholders in the Company, between the dates of First Admission and Second Admission, as the denominator for the calculations by which they will determine if they are required to notify their interest in, or a change in their interest in, the share capital of the Company under the FCA’s Disclosure Guidance and Transparency Rules (“DTRs”). Following the Second Admission the Company’s issued share capital will consist of 603,970,301 Ordinary Shares, with each Ordinary Share carrying the right to one vote. The Company does not hold any Ordinary Shares in treasury. This figure of 603,970,301 Ordinary Shares may therefore be used by shareholders in the Company as the denominator for the calculations by which they will determine if they are required to notify their interest in, or a change in their interest in, the share capital of the Company under the DTRs. The impact of the consolidation on the total voting rights of the Company is analysed below. Andalas Energy and Power Plc, the AIM listed oil and gas exploration and development company, is pleased to provide the following update on the Colter appraisal well (‘the Well’ or ‘Colter’), currently being drilled by Corallian Energy Limited (‘Corallian’) in the P1918 licence in the Wessex Basin. Andalas holds an 8% interest in the licence. The Colter well (98/11a-6) has been drilled as a vertical well with the Ensco-72 jack-up rig and has reached a Total Depth of 1870m MD in the Sherwood Sandstone. The Well is an appraisal of the 98/11-3 well, drilled in 1986 by British Gas, within the Colter Prospect. The 98/11a-6 well unexpectedly remained on the southern side of the Colter Prospect bounding fault but encountered oil and gas shows over a 9.4 metres interval at the top of the Sherwood Sandstone reservoir – a separate discovery to the original appraisal target. A petrophysical evaluation of the LWD data has calculated a net pay of 3 metres. Similar indications of oil and gas were encountered in the 98/11-1 well, drilled in 1983 by British Gas, within the Colter South fault terrace. Andalas Energy and Power Plc, the AIM listed upstream oil and gas and energy company (AIM: ADL), is pleased to announce its half-yearly report for the six months ended 31 October 2018. Long stop date for agreement to complete extended to 15 February 2019 to allow time for licence extension to be granted on terms satisfactory to Andalas. The Bunga Mawar formation has 2.3 million barrels (gross) of best case contingent and prospective resources, which is expected to be the target of initial activities. Other leads and prospects on the licence have total operator assessed best estimate prospective resources of 54 million barrels of oil and 26 BCF of gas (gross) . Agreement to farm-in to an 8% interest in Licence P1918, containing the Colter prospect. Badger prospect assessed to have gross mean prospective resources assessed to be 399 Billion cubic feet (Bcf) of recoverable gas (net of inerts and liquids) and 3.9 million barrels of natural gas liquids. The OGA agreed a maximum 5 month extension of the Badger licence to 19 May 2019. Extension granted to perform additional studies on the Ketch formation to identify whether there is further gas prospectivity on block. The Interim Report will be available from the Company’s website www.andalasenergy.co.uk. Andalas Energy and Power PLC (“Andalas”, the “Group” or the “Company”) has materially restructured its business in the period under review. The Company aims to be a leading developer of low-risk conventional upstream assets across Indonesia and the UK. In pursuit of this goal, significant progress has been made with the introduction of two new opportunities, Colter and Bunga Mas and an increase in the Company’s interest in the Badger prospect. During the period the Company increased its interest in Eagle Gas Limited (“Eagle”) (announced 25 July 2018) to 25% and appointed Simon Gorringe to the board of Eagle. Eagle announced that the operator of the project, its 100% owned subsidiary Holywell Resources Limited, had completed the interpretation of the reprocessed 3D seismic covering the block. Following the completion of this work programme, Holywell had assessed the resource potential of the Badger gas prospect to have Gross mean prospective resources of 399 Billion cubic feet (Bcf) of recoverable gas (net of inerts and liquids) and 3.9 million barrels of natural gas liquids. Following the resource assessment the operator opened a data-room to identify potential industry partners to participate in the project and provide funding for the drilling of an exploration well to test the potential of the Badger prospect. As a result of this process the operator identified that it needed further time to complete additional studies on the Ketch formation as further studies have identified additional gas prospectivity; accordingly a request for a licence extension was made to the OGA and on 17 December the initial period of the licence was extended by a further 5 months to 19 May 2019. Andalas remains supportive of its investment in Eagle Gas Limited and looks forward to making further announcements on the results of the additional studies and updates on the farm-in process. We acquired an interest in the Colter project in September 2018. As at the date of these accounts the project will be drilled and tested during Q1 2019 and we look forward to providing further updates on the project in the coming weeks. Colter was selected as an investment for Andalas because it exposed shareholders to a project with near term activity that had a good balance of risk (58.5% chance of success) and reward (1.76million barrel of oil potential) where our economic modelling suggests that success can be expected to have a transformational impact on Andalas, whilst still only representing one part of Andalas’ growing portfolio. The agreement to farm-in to the Colter licences was entered into on 20 September 2018. The cost to Andalas of farming into the licence, included the funding of the back costs on the licence (£45,000), together with the obligation to fund 10.67% of the forward costs related to this well, capped at a gross cost of £8.0 million. Andalas will be responsible for funding its 8% share of incremental costs above this cap. The Operator estimates the well cost to be £7.5m (approximately £800,000 net to Andalas). Indonesia is a core focus area of the Company. The country’s oil and gas industry is similar in size to that of the UK. Our decision to remain in Indonesia is founded on our belief that a number of Indonesia’s on-shore regions such as Sumatra have near-term development and production opportunities that can be acquired at attractive entry prices. We selected Bunga-Mas as our first pure oil and gas investment in Indonesia because it had a very low cost of acquisition (19.6million shares only on completion) for a major interest in a project that has a blend of appraisal assets with near term production potential (up to 2.3 million barrels of best case contingent and prospective resources) and significant upside in the form of an inventory of other leads and prospects on the licence that have total operator assessed best estimate prospective resources of 54 million barrels of oil and 26 BCF of gas. The acquisition of Bunga-Mas is conditional on, amongst other things, the extension of the licence to ensure the licence is in good standing prior to the commencement of any work programme to test the Mawar formation. On 11 January 2019 the Vice Energy Minister announced that the Bunga-Mas PSC was one of six licences to be converted into a Gross-split PSC, which Andalas regards as an important and positive step in this process towards securing the licence extension on terms acceptable to Andalas and validates our decision to grant an extension to long stop date to 15 February 2019. We expect the precise details of the licence extension to be made available to Andalas next month. Following receipt of the final terms we will provide further updates to the market in regard to the next steps. The Company is disappointed that there has not been further progress in the period on its legacy well-head IPP projects. As at the date of these financial statements the Company considers these interests non-core to its oil and gas strategy. The Company’s accounting policy has been to expense these costs to the profit and loss account as incurred. As at 31 October 2018 the Company considers that the Sumatra-1 project to be the most advanced project, as it has the potential to progress as either a gas to power project or as a pure upstream gas development. The Company continues to work with the owner of this asset to see if there is the opportunity to work together to monetise the gas resource, however as at the date of this report no agreement has been reached to progress the project and there can be no guarantee that any agreement will be reached. As previously reported, the Puspa project will not be actively advanced until and unless Sumatra-1 has been de-risked. Finally since the period end the Company has taken the decision to abandon Jambi-1 due to the lack of progress made on this project. The Group held a cash balance of US$1,164,000 at 31 October 2018 (US$38,000 at 30 April 2018), which illustrates the material progress made since the board changes in April 2018. The period under review also showed the impact of our continued efforts to maintain the reduced cost base of the Company. During the period under review the Company incurred US$868,000 (prior period to 31 October 2017: $1,015,000) of administrative costs. The Company continues to monitor its cash position and cost base carefully whilst the Company progresses its project offering. The board believes the Company is now in a good position to reap the benefits of its new strategy. Shareholders can look forward to the Company participating in new and exciting upstream E&P opportunities, alongside existing opportunities, that each have the potential to deliver material value. Major non-cash transactions are detailed in notes 6 and 7. The Company was incorporated on 19 September 2006 in the Isle of Man as a public limited company. The address of its registered office is IOMA House, Hope Street, Douglas, Isle of Man. The Company is listed on AIM, which is operated by the London Stock Exchange. Andalas Energy and Power plc (the “Company”) is presenting unaudited financial information as of and for the six months ended 31 October 2018. The consolidated interim financial information statements of the Company for the six months ended 31 October 2018 comprise the results of the Company and its wholly owned subsidiaries (together referred to as the “Group”). The consolidated interim financial information for the period 1 May 2018 to 31 October 2018 is unaudited. The comparatives for the full year ended 30 April 2018 do not represent the Company’s full accounts for that year although they were derived from them. The auditor’s report on those financial statements was unqualified but did contain an emphasis of matter paragraph in respect of the going concern status of the Group. It does not include all disclosures that would otherwise be required in a complete set of financial statements and should be read in conjunction with the 2018 Annual Report. As at the date of these financial statements the Company expects that it will require further funding to be raised at some point during the next 12 months. The Directors remain confident that the capital required to allow the Group to realise its strategic objectives will be available to enable the Company to continue to finance its activities beyond the period of twelve months from the date of this report. Accordingly these interim financial statements have been prepared on a going concern basis. The financial information contained in this interim report does not constitute full accounts, which are available from the company’s website www.andalasenergy.co.uk. The annual financial statements of the Group are prepared in accordance with International Financial Reporting Standards as adopted by the European Union (“IFRS”). The consolidated interim financial statements have been prepared using the accounting policies which will be applied in the Group’s financial statements for the year ended 30 April 2019. As allowed under the AIM rules the consolidated financial information has not been prepared in accordance with IAS 34. The same accounting policies, presentation and methods of computation are followed in the interim consolidated financial statements as were applied in the Group’s latest annual audited financial statements except that in the current financial year, the Group has adopted a number of revised Standards and Interpretations. However, none of these has had a material impact on the Group’s reporting. In addition, the IASB has issued a number of IFRS and IFRIC amendments or interpretations since the last annual report was published. It is not expected that any of these will have a material impact on the Group but the Group continues to assess the potential implications of IFRS 9. The interim consolidated financial statements were approved by the Board and authorised for issue on 30 January 2019. The loss per share of all periods reflects the 50:1 share consolidation on 9 August 2018, as detailed in note 8. In accordance with International Accounting Standard 33 ‘Earnings per share’, no diluted earnings per share is presented as the Group is loss making. The capitalised cost in the period related to the acquisition of an 8% interest in the Colter project via a farm-in. The agreement to farm-in to the Colter licences was entered into on 20 September 2018. The cost to Andalas of farming into the licence, included the funding of the back costs on the licence (£45,000), together with the obligation to fund 10.67% of the forward costs related to this well, capped at a gross cost of £8.0 million. Andalas will be responsible for funding its 8% share of incremental costs above this cap. The Operator estimates the well cost to be £7.5m (£800,000 net to Andalas). As at 31 October 2018 the following balances were included in trade payables and were outstanding in respect of Directors’ remuneration at the period end. In the prior period each of Ross Warner, Simon Gorringe and Daniel Jorgensen waived $100,000 of contracted but unpaid fees. The Group recognised $88,000 (30 April 2018: $131,000, 31 October 2017: $120,000) relating to equity-settled share based payment transactions during the period arising from Option or Warrant grants, which was charged as $48,000 in respect of services performed in connection with the issue of new shares to share premium and $40,000 as payment for professional fees to the income statement. There are 2,060,692 of unvested options (30 April 2018: 2,060,692, 31 October 2017: 2,060,692), that are held by certain Directors and consultants, which vest in three equal tranches relating to acquiring an economic interest in a first concession, an interest in a second concession and gross production from its interest in projects exceeding 400BOPED. As the triggers for the grant of the tranches have not occurred at the reporting date no share based payment charge arises. Tranche 3 vests on 1 October 2020. For the share options and warrants outstanding as at 31 October 2018, the weighted average remaining contractual life is 4.06 years (30 April 2018: 4.55 years, 31 October 2017: 4.18 years). All shares are fully paid and each ordinary share carries one vote. No warrants have been exercised at the reporting date. gross production from projects in which the Company has an economic interest exceeding 400 bopd for a period of 30 days. Of the 1,875,000 shares each of Ross Warner and Simon Gorringe would receive 25% of this amount. At the reporting date the Company had not recorded these as a liability. Other than the Corsair consideration options and the Corsair consideration shares there were no other obligations to Corsair at 31 October 2018. On 17 December 2018 the Company announce that the OGA has agreed a 5 month extension of the initial term of licence P2112 to 19 May 2019. As announced on 25 July 2018, the terms of our subscription agreement with Eagle Gas Limited required that a further £100,000 of consideration shares would be issued when the licence was extended beyond 31 December 2018. Accordingly, the £100,000 nil par value shares will be issued and announced separately and the number of shares will be calculated by reference to the share price calculated as 90% of the volume weighted average price over the 3 trading days prior to 1 January 2019. Andalas Energy and Power PLC, is pleased to report that Arcandra Tahar, Deputy Minister of Energy and Mineral Resources (“Deputy Minister”) issued a press release on Friday 11 January 2019, that the Bunga Mas PSC will be one of 6 licences that will be converted to gross split PSC’s by mid-February 2019. As announced on 29 August 2018, Andalas has a conditional agreement to acquire an initial 25% (rising to 49% and then 100%) interest in the Bunga Mas PSC. The operator of the Bunga Mas PSC applied to convert the PSC to a gross split PSC as part of the process to extend the exploration period, one of the key conditions to completion of Andalas’s acquisition of an interest in the Bunga Mas PSC. Andalas regards the conversion to a gross split PSC as an important and positive step in this process. The modelling performed by the Company to date indicates that the conversion of the PSC to the gross split PSC is likely to alter the economic profile of a successful development of Bunga Mawar. Importantly, however, it does not alter Andalas’ view that the deal exposes shareholders to significant upside under both the original PSC terms and the gross split PSC terms. In addition, Andalas believes that the new gross split PSC will provide operating advantages – the Deputy Minister highlighted that the gross split PSC regime was created to make oil and gas licences efficient, uncomplicated, simple and with more secure processes. Andalas will advise on the terms of the extension at such time as approval is granted by the government. The terms will include, amongst other things, the terms of the extension of the exploration period and the application of any transitional provisions between the old and the new regime. Simon Gorringe, CEO of Andalas Energy and Power PLC said, “This change in licence terms is in line with the Indonesian government’s intention to have all oil and gas licences structured on a Gross Split basis and although we still do not know the exact terms of the new licence the company has the ability to renegotiate its economic interest with the operator to ensure the project meets our investment criteria. “This news validates our decision to grant a short extension to the long stop date last month. The announcement by the vice Energy Minister indicates that the PSC will be formally converted in February, during which time we will continue to work with the vendor towards finalising the acquisition. “We have established a good relationship with the Bunga Mas Operator who wants to close the deal as soon as possible and is willing to work with ADL to ensure that a satisfactory deal can be agreed. I look forward to updating the market as we progress with what continues to be an exciting deal. “Andalas is paying consideration for the acquisition of Bunga Mas of 19.2 million shares (£177,600 at the closing share price on 11 January 2019), which we believe would represent very good business should we be successful in the planned development of the Bunga Mawar formation that has 2.3 million barrels of best case contingent and prospective resources. “Furthermore, successfully developing Bunga Mawar is expected to provide cash flow to support the exploration and appraisal of the other leads and prospects on the licence that have total operator assessed best estimate prospective resources of 54 million barrels of oil and 26 BCF of. Indonesia introduced a new PSC scheme based on gross production split in 2017. The Government’s intention was to incentivise exploration and exploitation activities by providing spending and operational freedom to operators. The new regime is based on a gross production split without regard to a cost recovery mechanism. Hydrocarbons produced from the PSC are shared between the contractor and the government. The production split is determined by reference to the characteristics of the project. The base split for oil is 57% to the government and 43% to the contractor and for gas is 52% to the government and 48% to the contractor. The base split is adjusted by reference to variable and progressive components. The variable components include the status of the working area, field location, depth of the reservoir, availability of infrastructure, type of reservoir, carbon dioxide content, hydrogen sulphide content, specific gravity of oil and domestic component during the developments stage and the production stage. The progressive components comprise oil and gas prices and cumulative oil and gas production. By way of example, the first plan of development under a gross split PSC will attract an additional 5% contractors split and an off-shore field in water depths greater than 1000m would attract an additional 16% contractors split. The role of SKK Migas is limited to control and monitoring of gross split PSCs and whilst it will approve work programmes it will not approve budgets which will be provided as a supporting document. Contractors may carry out procurement of goods and services independently and the governments procurement regulations will not apply the same restrictions as under the former regime.